Section Index pages or from the Master Index on the Japan Select page. 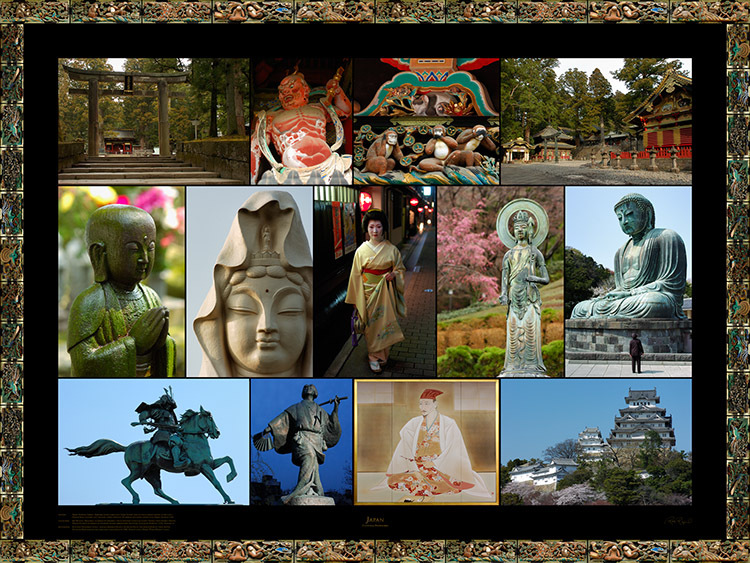 The Banner below leads to the Japan Collections page where a Gallery can be selected. a description of the contents of each page, including hyperlinks to the page subsections. to create this page (each of these images is also in the Japan Select gallery on Photoshelter). These images were all created from the full-sized images which are available on Photoshelter. Links are provided to pages with related images and more information. 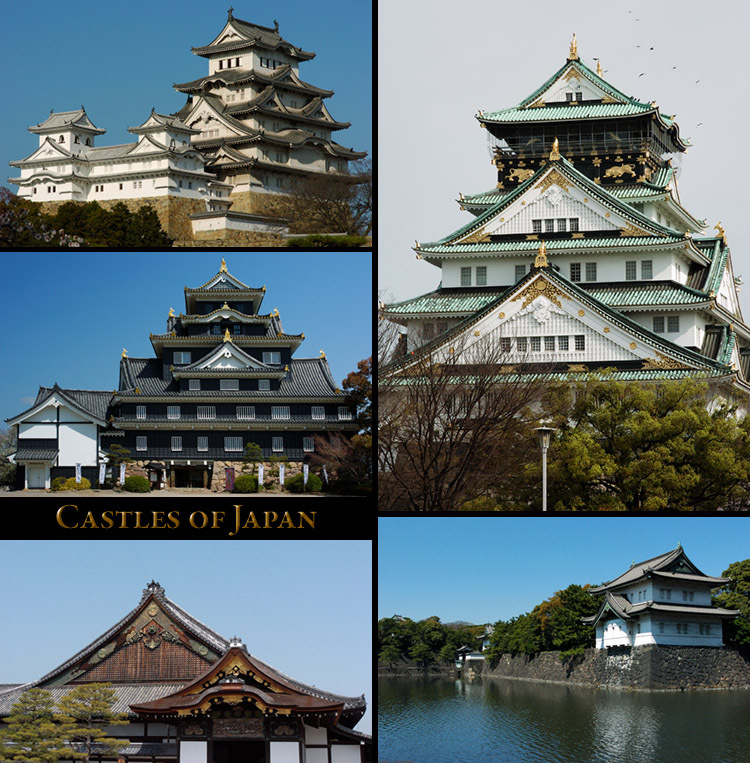 the Imperial Palace, Nijo Castle and the Ninomaru Palace, Osaka Castle and Okayama Castle. 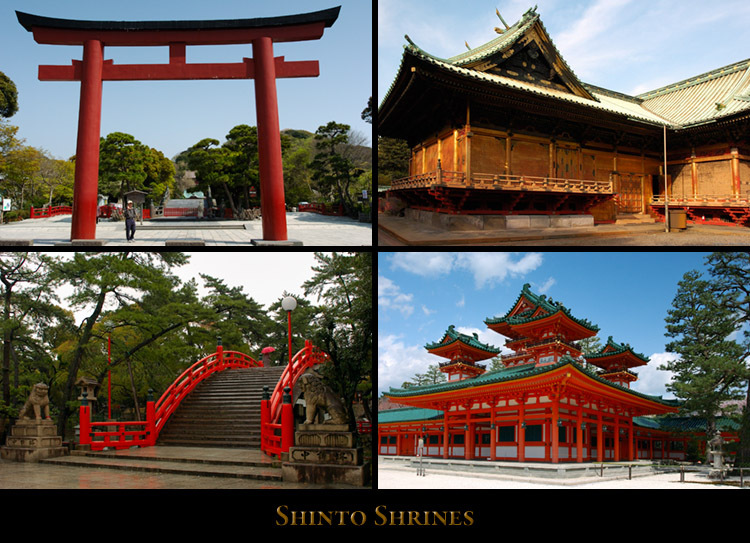 containing a selection of images from Osaka Tenmangu and Ueno Toshogu plus five shrines in Tokyo and Kyoto. and an Assorted Temples page with a detailed section on Katsuoji and a number of other temples. 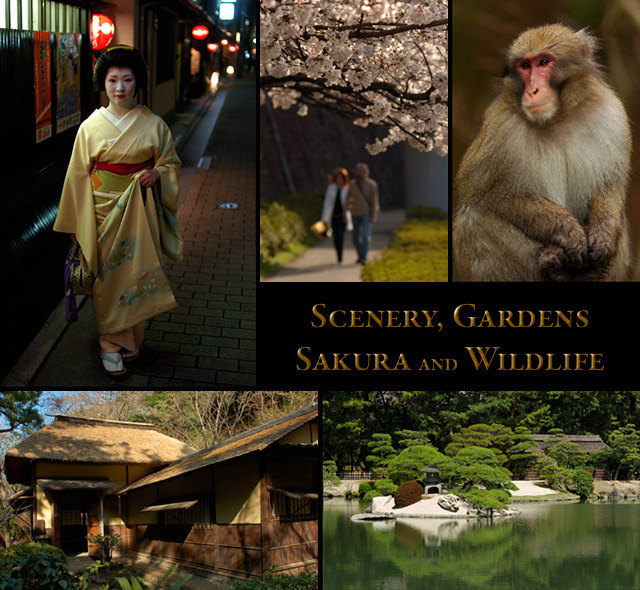 Kyoto Scenic; Gardens; Sakura; Sankeien Architecture; Potpourri and Wildlife. 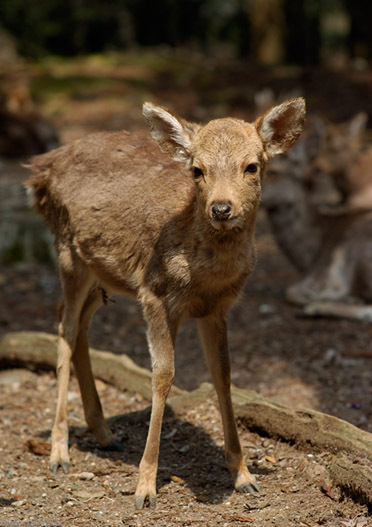 The Wildlife page has images of Nara Park Sika Deer, Minoh Mountain Monkeys, and other wildlife. 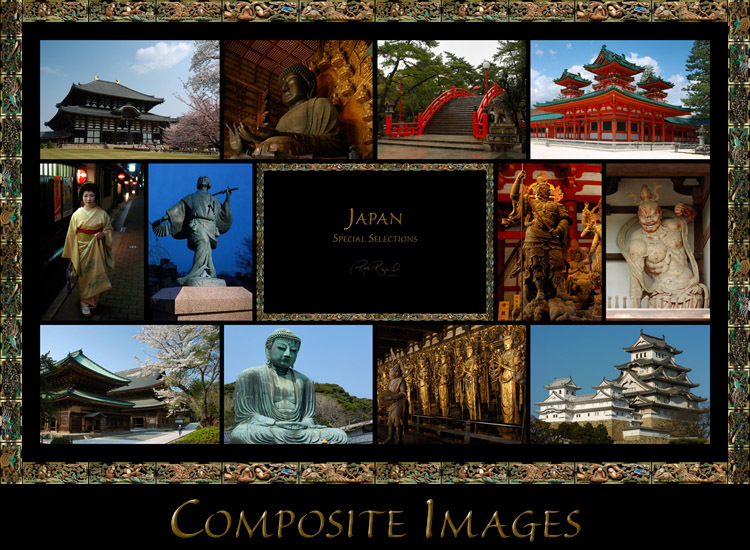 A portfolio housing 25 Composite Images from Japan. 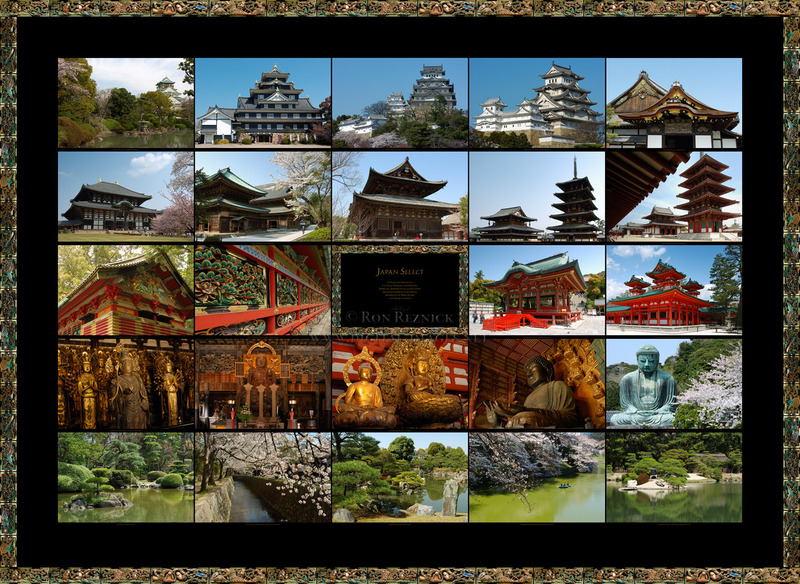 The Japan Portfolio contains five sections plus a page of 150 selected images and a master index to the 36 page section. 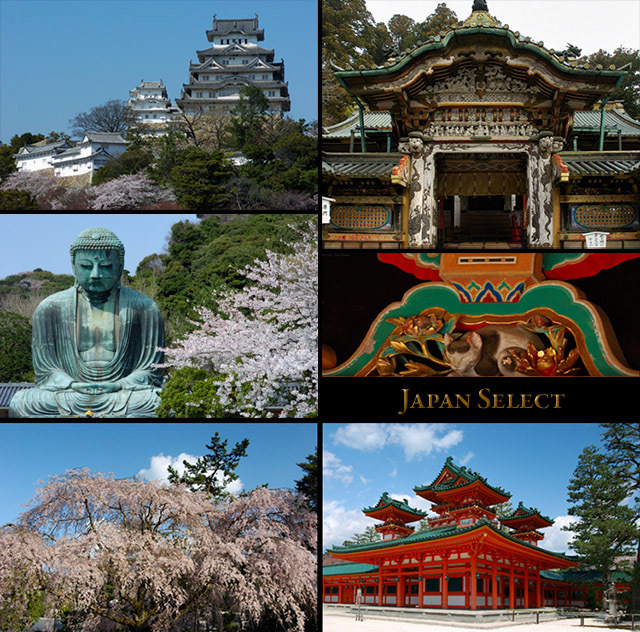 The images are thoroughly researched and captioned in detail, offering educators (and viewers) a valuable visual and informational resource to teach their students about the wonders of Japan. If the teacher assigns homework on Japan, many students will be able to do some of their research from these pages at the library, while the well-equipped student with a laptop deals with the work from home. An M-sized version of the SXXXL (14510 x 10586) Composite. panels and Tozai Kairo Wildlife Panels by Hidari Jingoro and the Tanyu School Painters. 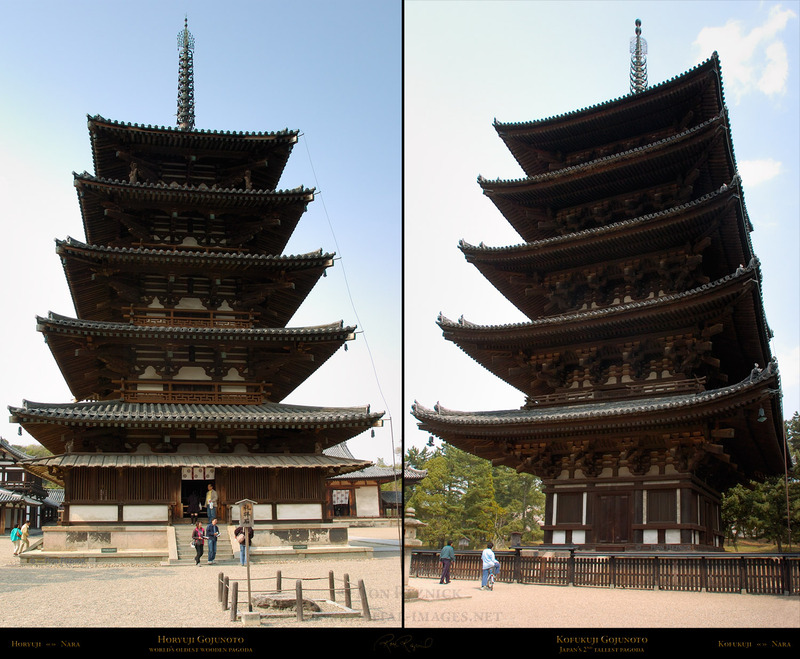 Horyuji Gojunoto (5-story pagoda) is the world’s oldest wooden pagoda. 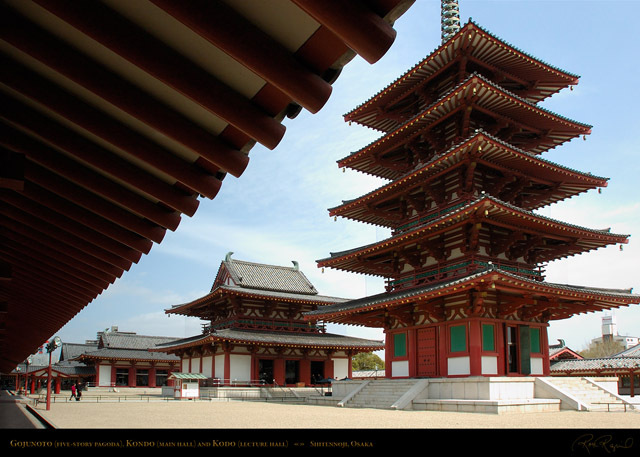 Kofukuji Gojunoto is Japan’s second tallest pagoda. 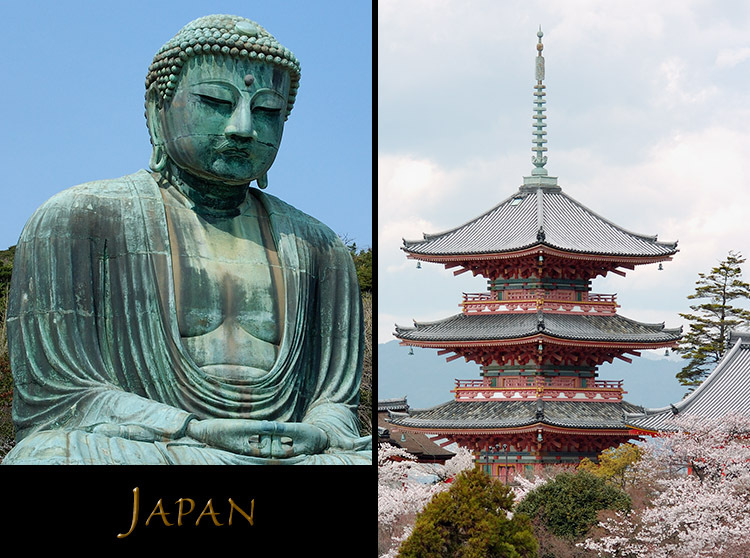 Both are in Nara. 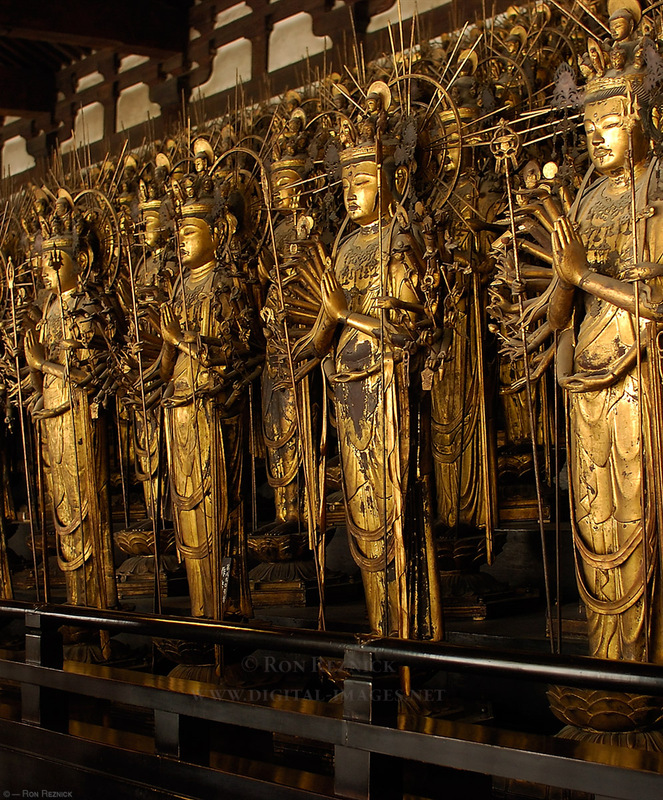 (the main hall, built in 700) is one of the world’s oldest wooden structures. 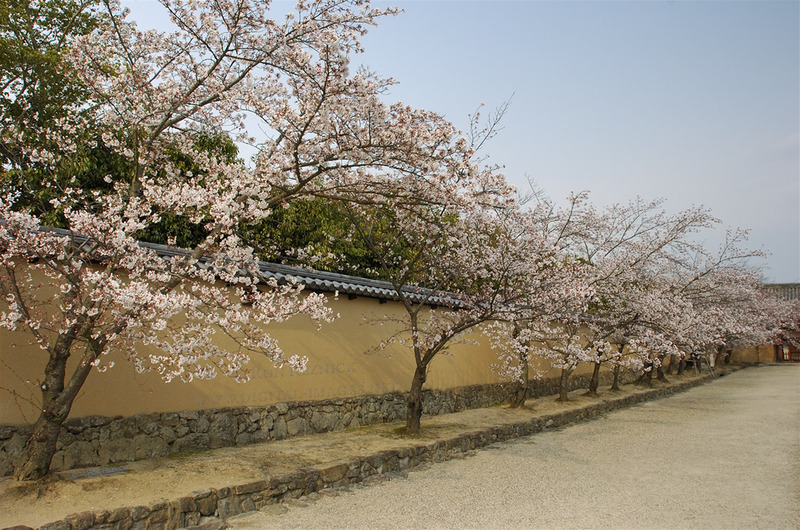 Kofukuji Gojunoto was built in 725 (last rebuilt in 1426) and is Japan’s 2nd tallest pagoda. 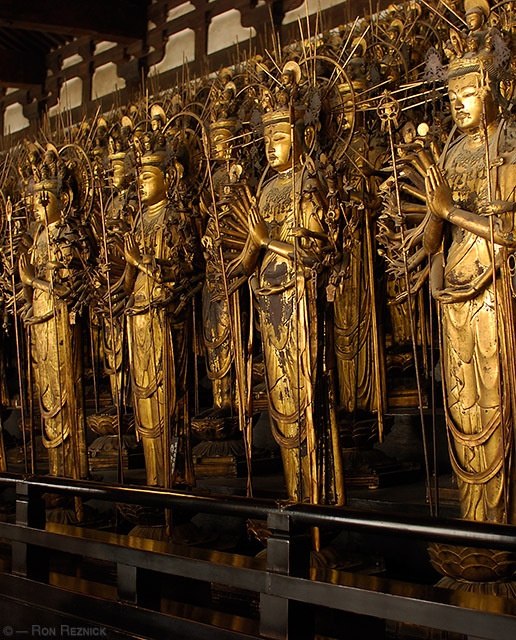 Shitennoji is Japan’s oldest state administered temple. with brackets and detailing molded to resemble the original wooden parts. 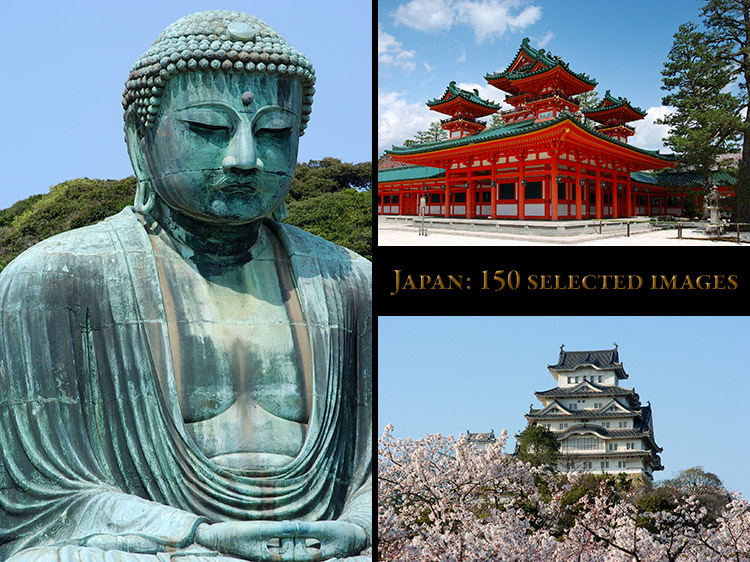 in 1600 and founded the Tokugawa dynasty which ruled Japan for 265 years. 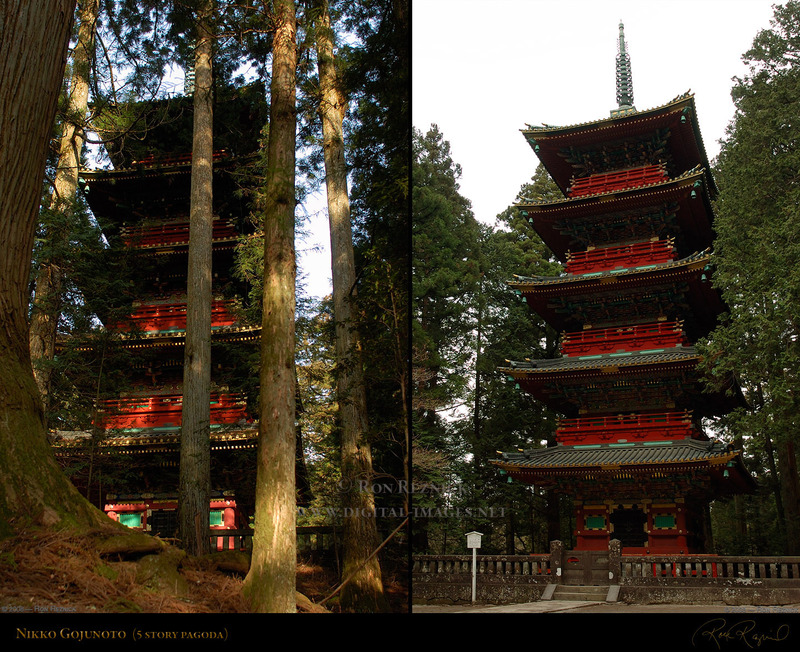 Each story of this pagoda represents an element: Earth, Water, Fire, Wind and Heaven. It is made earthquake-proof with a massive pillar inside suspended from the upper floors. Sakura trees line the path leading between the West and East sections of Horyuji in Nara. 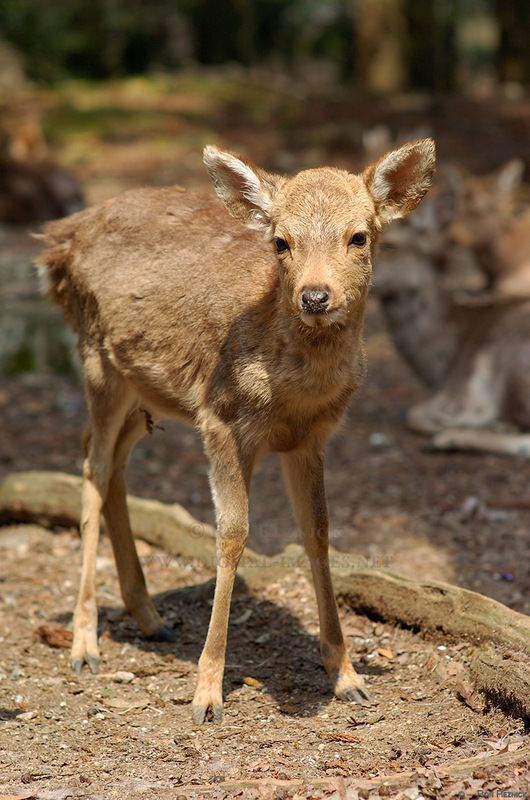 Terminally cute, the Nara Park Sika deer bow to visitors in exchange for food.